The Isa Experience lives, entertains and enthrals. From the fascinating insight into the mining industry development to the cultural diversity of Mount Isa shown in the theatrette movies, to the depictions of the quirkiness of daily life in the early days, the exhibit is vibrant and entertaining. The stunning, award-winning, dual plasma screens mysteriously begin as you enter the exhibit space. Blending the indigenous and white perspectives, it dramatically concludes with the didgeridoo 'morphing' into the modern lead stack that dominates the city skyline. The Isa Experience gives an intimate and in-depth perspective to the development of a multi-cultural society that existed well before the term was coined. 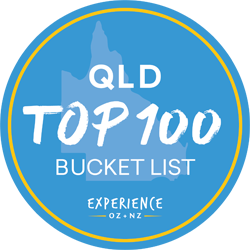 The Outback Park is an extensive creative landscape that captures visitors' attention, with a central lagoon surrounded by lush naive plantings and a Lawn Hill gorge inspired waterfall. Also included in the admission price is entry to our Mount Isa Fish Stocking Group Hatchery where you can learn about breeding of fish and re-stocking of our lake. Visit also the Rodeo Hall of Fame which was opened in 2018. The brand-new display gives you a great insight into the history of the biggest rodeo in the southern hemisphere - the Mount Isa Mines Rodeo. Learn about the most famous cowboys & cowgirls, the most prestigious bucking horses and bulls, the people who made the rodeo into what it has now become and much more.